This set of four Clinch-It Bag Closure Clips will be a life saver in your kitchen and pantry. Innovative design combines a spoon or fork and a bag clip. This makes it the perfect companion for items such as coffee, tea, sugar, bagged spices, or any storage situation it would be convenient to have a spoon or fork around. Also is a great tool for backpacking, camping, or other times having dual functional items is a must. This set of four Clinch-It Bag Closure Clips will be a life saver in your kitchen and pantry. Innovative design combines a spoon or fork and a bag clip. This makes it the perfect companion for items such as coffee, tea, sugar, bagged spices, or any storage situation it would be convenient to have a spoon or fork around. Also is a great tool for backpacking, camping, or other times having dual functional items is a must. Bag closure measures 3.50". 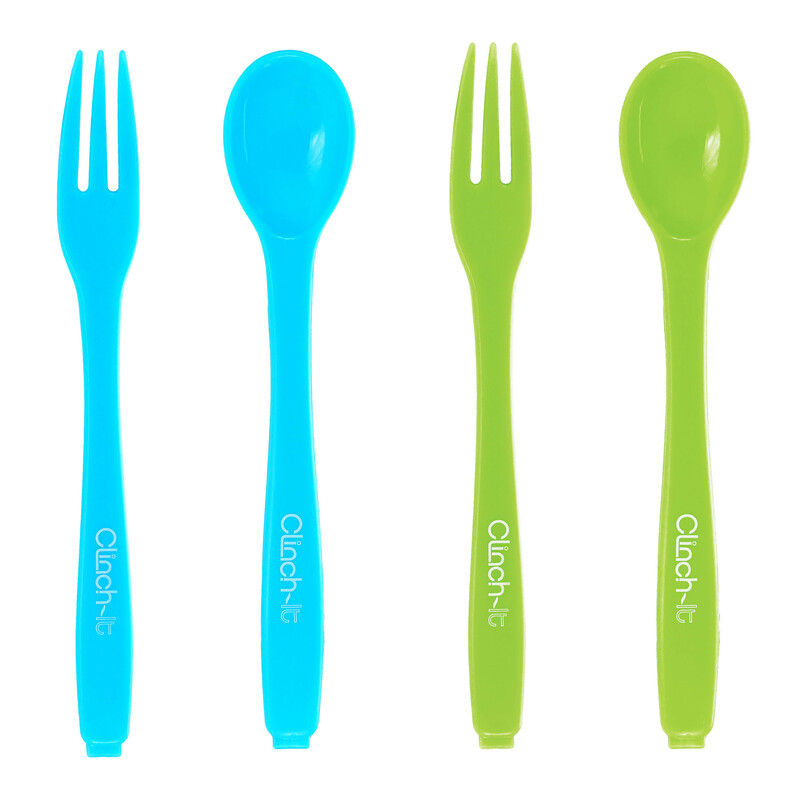 Set includes one green fork and spoon and one blue fork and spoon. Fork overall dimensions are 6.81" x 0.82" x 0.59". Spoon overall dimensions are 6.59" x 1.24" x 0.59".